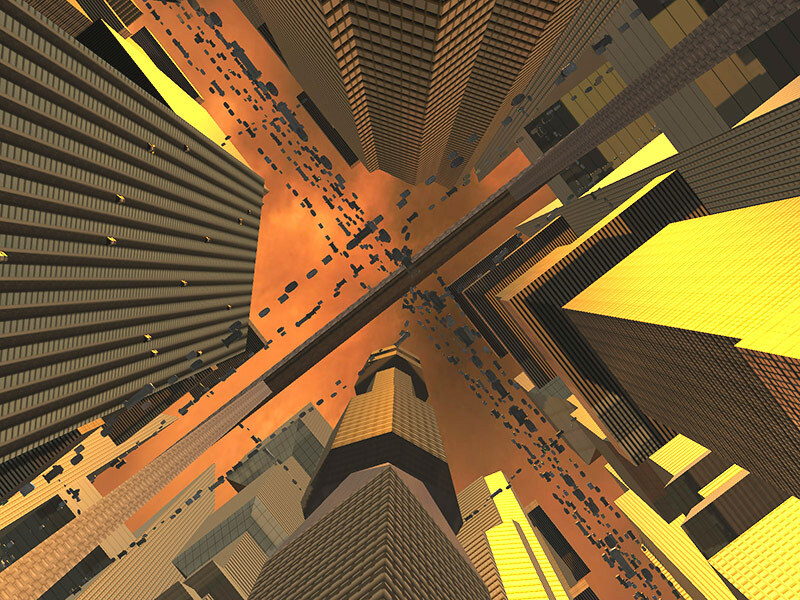 3D Future City screensaver: It's full of flying vehicles which moves through traffic lanes set at multiple levels. Did you ever try to imagine the future of our universe ? Do you want to take a look to the views of nature and cities of not so distant tomorrow? It's very fascinating and easy now. Imagine the future New York City, about 100 years of now. 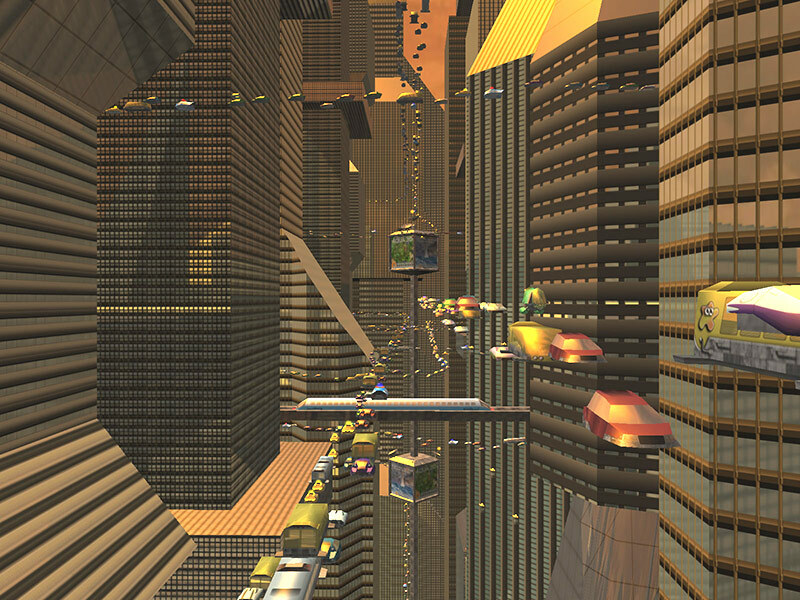 It's full of flying vehicles which moves through traffic lanes set at multiple levels rising up between the imposing skyscrapers with elevators and flickering lights. The high-velocity trains crosses the streets at breath-taking height. Mysterious mulberry sunset sky and sun reflecting on the glass surface of the buildings complete the futuristic cityscape. Sounds like pure Science Fiction? Who knows... Now you have a chance to take a close look to our tomorrow. 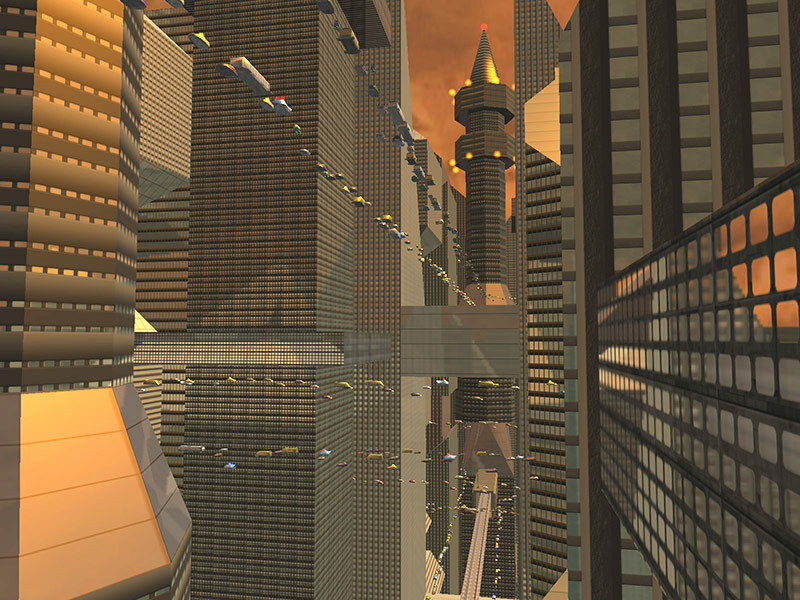 Just install Future City 3D Screensaver and watch the astonishing reality and beauty of the future yourself!